This poster is designed for use in middle and high schools, across the state. 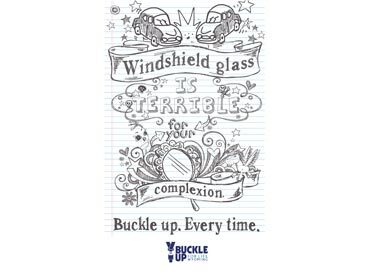 A clever — and effective — way to remind youth to buckle up, every time. 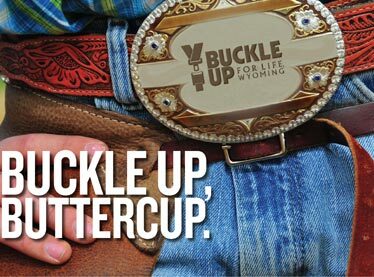 In Wyoming, children between 8 and 12 are much less likely to be properly restrained than younger kids. 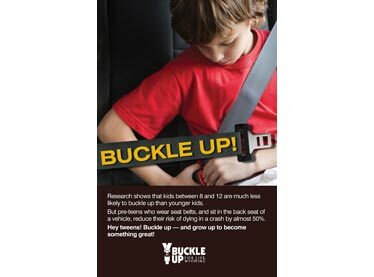 These posters provide a great reminder of the importance of buckling up — and sitting in the back seat. Wyoming offers a variety of county fairs and rodeos throughout the summer and this message can be adapted for use at these events via posters and banners. 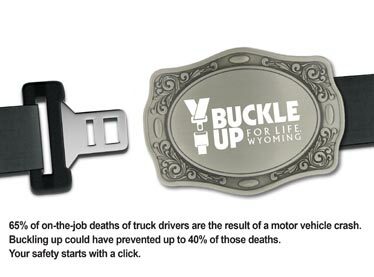 A seat belt use message designed specifically for employers in Wyoming who want to include this life-saving reminder as part of their safety literature for all truck drivers. 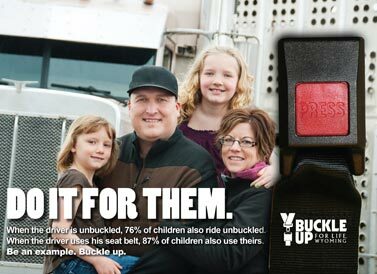 Based on consumer research conducted by the Wyoming Seat Belt Coalition in 2016, an overwhelming number of Wyoming men mentioned that buckling up “for their loved ones” was an idea that resonated strongly… Not to mention the fact that their behavior influences children’s seat belt usage, as well.